I’ve been having a pleasant mini-vacation at home as I shift my schedule to join the trail crew this coming week. Reading, gardening, errands, laundry, house painting, and food. The first ripe tomatoes and cucumbers have appeared in the garden, just in time for salads. I’ve harvested garlic. 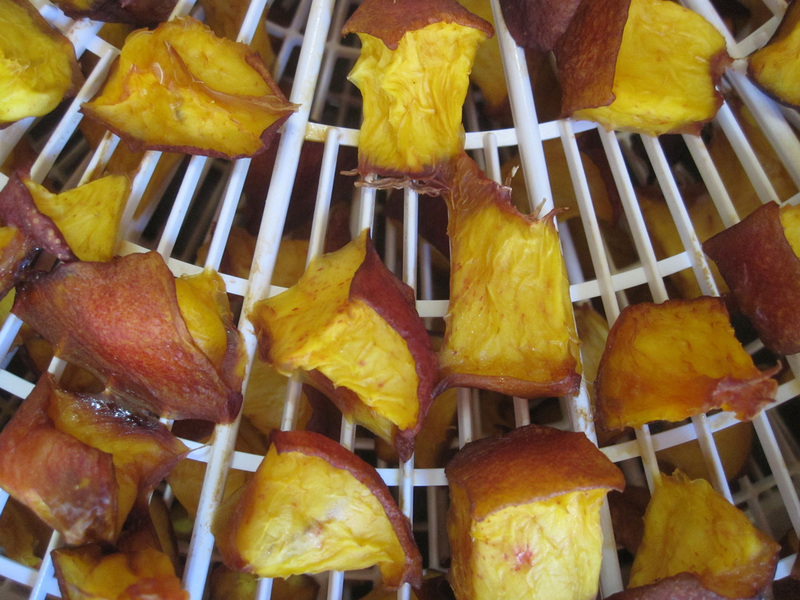 The dehydrator runs almost non-stop. I’m collecting pint jars of dried vegetables to add to my backcountry meals: peas, corn, mushrooms, celery, peppers, broccoli, chopped kale, summer squash, scallions. I even dehydrated some spaghettie sauce to try. I could eat freeze-dried, but it’s tastier and more fun to make my own. Probably cheaper too. The photo above shows the menu for three days. Since the packstring is carrying the food, I will splurge and add a few more fresh vegetables. The box of cookies is to share with the crew. Each meal is packed up in a plastic bag, a trick I learned from Pam W. So for breakfast all I have to do is grab a bag–tea, dried milk, instant oatmeal with additional dried fruit and nuts. I buy supplies in bulk, then spend some time at home packaging meals. Lunch is the hardest to figure out. For me, field lunches can get monotonous and I’m always looking for ways to perk up the midday refueling. This week I’m taking pita bread and hummus and hope to find some cucumbers and tomatoes at the farmer’s market. Sometimes I have cheese and pepperoni sticks from the local Italian deli. 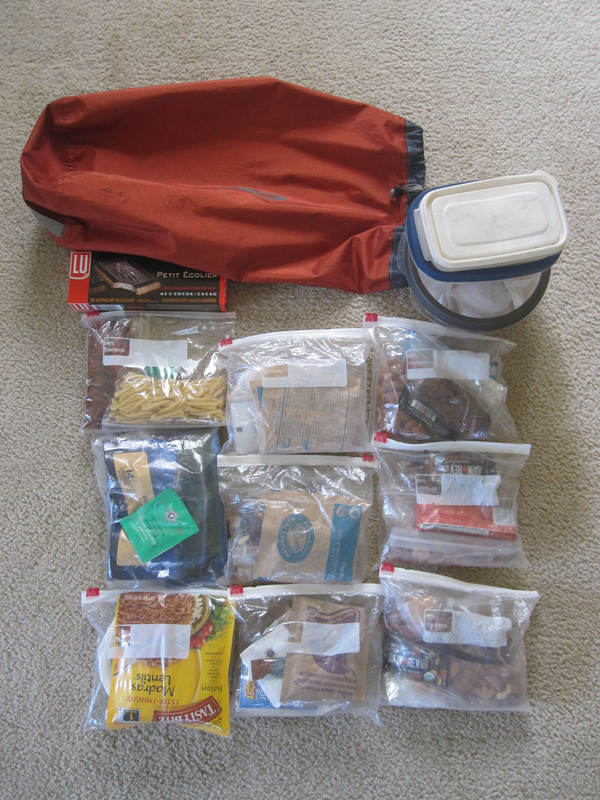 The food bag is the most time-consuming part of getting ready to go out for a few days, but it’s worth every minute. When you start thinking about what’s for supper when you’re still three miles from camp, it had better be good. I’ve heard it said that hunger is the best sauce and I know that it’s true. I bought a box of nectarines at the produce stand. They are a favorite fresh summer treat, and also dry well. I never regret having a couple gallon bags in the freezer.